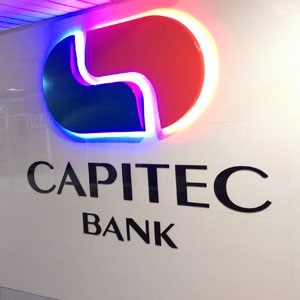 South African banking sensation Capitec’s low cost, laser-focused and highly disruptive model continues to build momentum. With a million new clients in the year to end February, the group’s profits grew a hefty 26% and market shares expanded with one in five South Africans now naming it their “primary” bank. 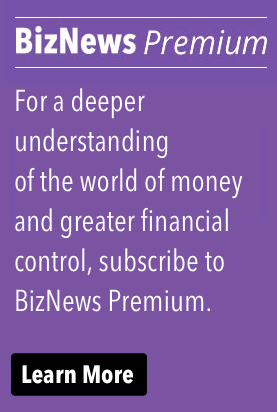 CEO Gerrie Fourie tells Biznews.com’s Alec Hogg why Capitec’s business model has acres of runway – and takes the wraps off the ways it intends remaining South Africa’s fastest growing bank. Alec Hogg is in studio with Capitec CEO Gerrie Fourie. Gerrie, the Capitec story is a fascinating one and we’ll get into that in a moment, but just tell us a bit about yourself. Did you always want to be a banker? Alec, to be honest, when I was studying I said there were two things that I never wanted to look after. The one was liquor and the one was cash. As you know, I’ve been in the liquor industry for 13 years and now, 16 years in banking. No, it wasn’t my dream. How did you end up at Capitec? Magiel actually contacted me and said he’s looking for people. “We’re starting Capitec. Here’s the model”. I always had the ambition not to work for a salary and to be an entrepreneur, and I think Capitec gave all of us the opportunity to become entrepreneurs and build something. It’s interesting that the company is now quite big because you’re talking about 11,500 people working for us. I believe there’s still a very strong entrepreneurial spirit in the company and that is what makes us attractive. Alec, what we’ve seen is that a couple of banks have brought in secondary brands and pricing the secondary brands at five cents or a little bit cheaper than we do. For us, it’s not about pricing. We always said, “To get this right, you need to look at pricing.” You need to look at the product. You need to look at the positioning. Then (very importantly) is the service side and service is delivered by your people, and so you really need to make certain that you appoint the right people, you develop the people, and you create a family/culture of people who say, We want to go that extra mile”. To me, one of the constantly amazing things is that at month-end, we look at how many branches are still open and about 25 percent of our branches is operating outside operational hours, servicing that client. Just explain that. Are they allowed to keep open? Our branches can operate until the last client is served. The Operational Executive is next door to me so normally, on a Friday afternoon – let’s say it’s month-end – here at 6:30, we would just look and see how many branches are still open. The majority of our branches (80 percent) closes at 6:00. We’ll then look at how many transactions are still coming through and how many branches are still open. On average, I would say that on a busy day, you would have about 150 branches that will operate after working hours. It’s not something, which we say, “You have to do.” It’s just a culture in our organisation, where people will go that extra mile and service our clients. I know that you don’t hire bankers. You hire from (particularly) the retail sector. Do they (your staff) call themselves bankers once they work at Capitec? No. We don’t see ourselves as bankers. We see ourselves as retailers. We look at it from a client perspective. On average, we still employ about 300 people per month and about 80 percent of those people have matric. They need to be very strong numerically and they need to have very strong interpersonal skills, and then we appoint the people. We then take them through to our business centre in Stellenbosch where everyone goes through training – myself included – for ten days. We offer them certificates when they pass and then they go back into the branches. So, you meet everybody. You shake everybody’s hand – everybody who works at Capitec. Every second Thursday there’s a function and I do it so if I’m not overseas or I don’t have some other commitments, I’m there so I greet 85 to 90 percent of every single person who starts with us. It was interesting to see from this set of financial results that in the last financial year – the end of February 2016 – you increased your branch network. You went from 668 to 720. The big story in banking at the moment is how the branch networks are contracting at your competitors. How are you able to buck this trend? Alec, in all our analysis that we’re doing… Remember, we’re analysing every time a client comes into the branch. We measure him from the moment he steps in till he sits down in front of a consultant and then if any screen switches, we measure that. We still see a big dependency of your lower and middle end market that wants to have that personal interaction. Just to give you an indication, we’ve got 7.3 million clients but 6.5 million of them were in our branches in February. We don’t see that it’s actually slowing down. We’re actually going to be more aggressive this year and opening up more branches because we need to deliver on that service promise. The three areas we’re working on is (1) more branches (2) more ATM’s – but ATM’s where people can actually deposit cash, do bank statements, and other transactions and then a very big focus for us is (3) the app. We’ve spent a lot of time on the app. We launched the app about 18 months ago. We’ve got about one million clients registered for it and we’re seeing tremendous growth on the app. The track on the app is incredible. During the first six months of this year, we had four million transactions and in the second six months, we had 8.5 million. In February alone, we had two million transactions so that’s just showing that people are starting to move. You must also remember that our branches are only 200m2, while the other big banks are more at 600/800m2. We believe in that personal interaction so we’ll always have more branches than your other banks. I get it. It’s like a retail operation with your DC (distribution centre) and that’s where you’ll be doing all the processing but client facing is relatively small. That’s 100 percent correct. What we’ve seen is also that with our branch managers, you optimise the branch manager if he’s got about 15 people reporting to him because then he can really motivate. He can make certain our people understand what we’re doing and why we’re doing it. The moment you make that team 25/30/40 people, your branch managers are struggling. Our branch managers (on average) are about 27/28 years old, so they’re relatively young, but we’ve developed them and we’ve grown them. Part of our model is to give them a small team, really focus on teamwork, and make certain that they are motivated. If I were a competitor, I would be in the market stealing your branch managers – these 27/28-year olds who’ve been running teams of 15 and saying to them, “We’ll double your salary and give you 100 people to look after in a branch.” Are you finding any of that? You get pockets or some periods where our opposition will target our branch managers and our consultants but I must say that generally, we don’t lose a lot of people. Is the culture just so different? I think it’s the culture, the way we remunerate, and the way we work with our people. It’s completely different. Where we tend to lose people is in that first year after they joined us and that’s normally a person between 20 and 22 years old. It’s his first job. He thinks that’s what he wants to do and then he moves on. We believe we’ve made him a Capitec disciple so he will still promote Capitec even if he leaves. Our staff turnover in general is about 16 percent. We do trends on the financial world and the average there is about 20 percent, and so we’re quite happy with our staff turnover. You’re growing. You added one million active new clients in this past year. Are they coming from outside of the previously unbanked or are they coming from other banking operations? I would say about 80 percent of that million already have bank accounts somewhere. They’re discovering us and we’re seeing that very strongly in the middle to higher income – growing very strongly. Remember, the 7.3 million is important. More importantly, it’s the banking clients – the 3.3 million who are actually depositing their salary with us, because that is where we’re picking up growth on our transactional side. On average, they’re doing about five transactions more per months than a normal savings client. Is this where you measure the 20 percent market share figure (on those 3.3 million clients)? That’s correct. That’s what AMS measures. They measure banking clients, i.e. where they deposit their salary. Our market share is now 21 percent. What is quite incredible is that that market share has been growing every six months for the last three years by two percent so we’re quite happy with that. What we’re seeing now is very strong growth in people. What is coming into his bank account is R15, 000.00 and more so it’s his net salary. There we’ve seen a 44 percent growth in those client numbers so we’re starting to see very nice growth in what we call the middle to high-income client base. Quite clearly, the competitors are not keeping you up at night, but there must be other things. When we look at the world of banking generally, we’ve got digital currencies that are catching on – Bitcoin, the whole block chain. Is this an area, which does cause you to lose sleep? Well, I think what’s causing us to lose sleep now is (1) capacity and making certain that we can deliver on our service promise. That’s why we’re increasing our branch network, etcetera. The whole Fintech area is in an area, which we’ve been looking at intensively for the last two years. We’ve got an innovation team of ± 16 people and that’s what they’re doing. We call it ‘let’s look at the branch of the future’. What is the branch of the future going to look like in 2025? It’s definitely not going to be bricks and mortar. A certain percentage will, but it will move. Then we have to make certain that we position ourselves for that so there’s a lot of work going on behind the scenes on what’s happening in the Fintech world. A lot of our senior managers are spending a lot of time overseas at conferences, visiting companies such as Google etc., to make certain that we’re in touch with what’s happening in that particular world. The whole Google Pay (and Apple Pay joining only this last week), which seems to be taking off in certain western markets. Might you be the ones introducing it here to South Africa? Let’s talk about Apple Pay. I think the thing about Apple pay is when is Apple Pay going to become Apple Bank? Remember, what they’re doing is children of 3/4/5 years are playing on their Apples and are quite comfortable with the brand, and so it’s quite easy to switch them to Apple Bank. The question is actually, “How do you make certain that you position Capitec so that it’s adding value to the client in a different manner in that he doesn’t need to go to Apple Bank?” Those are the types of things we look at. Why not partner with Apple Bank, Google Bank, or whoever this worldwide phenomenon might be? We’re definitely not talking at this stage but those are opportunities, which we will investigate in the next three to four years. You’ve got a Fintech team that’s turning over all those stones, though. What about retailers? Are you seeing much threat from that quarter? Gerrie, internationally there’ve been suggestions that this model will travel. Yes. We believe the model can travel. Currently, we’re not looking aggressively. Whenever we’re overseas, we’re talking, keeping our eyes open, and seeing what opportunities there are but currently, the focus is on South Africa. If you’re growing by 100/150,000 clients per month, you need to make certain that you deliver in South Africa and that’s where our focus is currently. If you want to go overseas, you’ll have to take 20/30 senior people to go and actually really make a success of that. Currently, we need all decks on hand to deliver on our promise so that’s where the focus is. If we see growth coming down, we’ll probably start looking at going international. Just to close off with as far as financial results are concerned; this 26 percent growth in dividend and headline earnings in this period was accompanied by that surge in your new one million customers. It would suggest that the trajectory is still upwards. Yes. I think if we look at the economy, what we’re saying is that we’re really going to feel the pain of the economy – probably in the third and fourth quarter of this year. The exchange rate, inflation, drought, and the possible downgrade – that effect we’re going to see much later. We haven’t seen it yet. What we’re saying is that there are a lot of opportunities on the banking side because people are looking for value for money. On the credit side, which is a big portion of our business, one needs to be very careful. We have pulled back. We have made adjustments to our model because we anticipate that your client is going to be under stress so you need to be carefully managing that side. What we’re saying is we’re going to be conservative on the credit side, but very aggressive on the banking side. Just on that point: with Abil today getting its approval that it’s now going to come back into business, does that concern you? No. We’ve always said we always look at the client. We’ve built our business model looking at the needs of the client, not on what the opposition is doing and then doing something different. We’ll continue focusing on what the needs of the clients are and making certain that we satisfy that need. We will definitely evaluate them. We do that on a continuous basis – looking at our opposition, looking at their products, looking at their prices and the way they’re presented etcetera, and we’ll treat them as a normal competitor. Gerrie Fourie is the Chief Executive of South Africa’s banking disruptor, Capitec.